Write Divas uses Track Changes available in MS Word and prefers to edit documents that are in manuscript format. This is the standard, and while we prefer this format, it is not a requirement. 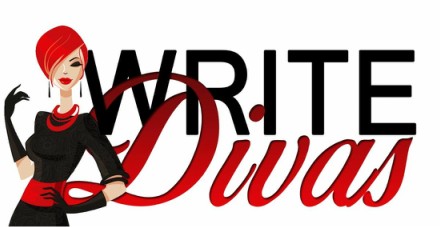 If you don't have a preference and your manuscript is not in manuscript format, Write Divas reserves the right to render your document in manuscript format for editing unless instructed otherwise by you, the author. Scene Breaks: Use *** or ### as a marker between scenes with an extra line before and after the marker. An extra blank line without a marker will be treated as a mistake and removed. Chapter Headings: Please clearly mark all chapters with a chapter heading, for example, Chapter 1, Chapter 2, etc. ﻿﻿Document Name: ﻿﻿Please include the title of the manuscript and your name as part of the document name of your manuscript. Unless otherwise instructed, Write Divas will change the following items for consistency throughout the entire document. These are a preference and can be changed if you, the author, want something different. Ellipses are used to show unsure speech or speech that trails off and will be rendered as an ellipsis mark (three periods...) with no space before and one after. If the ellipsis is used at the end of a sentence, the extra space at the end of the ellipsis will be omitted prior to end punctuation. Hyphens will be used in hyphenated words only with no space before or after the hyphen. Em Dashes are used to show sudden changes of thought or speech AND/OR speech that is interrupted and will be rendered as the longer dash [—] and is not to be confused with the en dash [–] or hyphen [-]. Quotations & Apostrophes: Write Divas prefers the use of smart quotes or curly quotes over straight quotes and will replace all quotation marks and apostrophes in the manuscript so they are uniform. Unnecessary Punctuation: Unless otherwise instructed, Write Divas will remove unnecessary or double punctuation. All Caps: Unless absolutely necessary or instructed otherwise, words in ALL CAPS will be changed to lowercase. Underline/Bold: Underlining or bolding will be removed from any words in the body of your manuscript.